With my upcoming rockabilly tea party (The Mad Hepcat's Tea Party) I'm putting together a mini series of entries of everything rockabilly: Clothes, Accessories, Hair & Make Up, and Music. No rockabilly look is complete without a slick of red lipstick and an edgy hair cut. This entry will show you the basics of hair and make up. It might look scary, but, as with anything, practice makes perfect and soon enough you'll be looking like the perfect pin up! There are three very simple hair styles that you can perfect and individualise to your own tastes, whether that's all out or just a subtle touch. 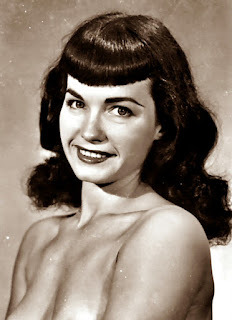 So named after the Queen of Pin Ups Bettie Page, this is a short fringe cut into a 'U' shape. These, surprisingly, suit most face shapes, and if you don't like it, it grows out in a couple of weeks! If you are going to get it cut in, remember to take a photo of the lady herself so the hair dresser knows exactly what they're doing. These look really scary to do, and they will be a little tricky to create at first, but once you get it, you will be on a roll (please, pardon the pun!). You can just do one at the front, two at the side of your head, or as many as you want. Curl the rest of your hair, or roll it up in a bandana for the best result! 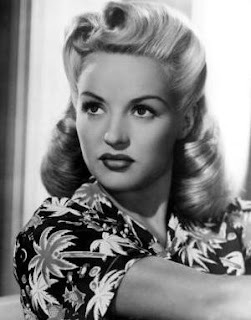 Whether you do these with curling irons, heated rollers, foam rollers or pin curls, the result will always be rockabilly. By brushing out the curls in a certain way you can get a variety of looks from page boys to poodles! Just remember to use plenty of hair spray! The make up is really very simple. Matte foundation, black winged eyeliner, red lipstick. Of course you can complicate things with eyeshadows and what not, but if its simple you're after just stick with that. Mac probably do the best lipsticks, but 'drugstore' brand ones are just as good. Remember to shop around to find the best red lipstick for you; if you have a yellow skin tone orange based reds work well, and if you have a pink skin tone, stick with the blue based reds. The eye liner will take a little practice, and a steady hand, but just be patient and you'll get the hang of it! 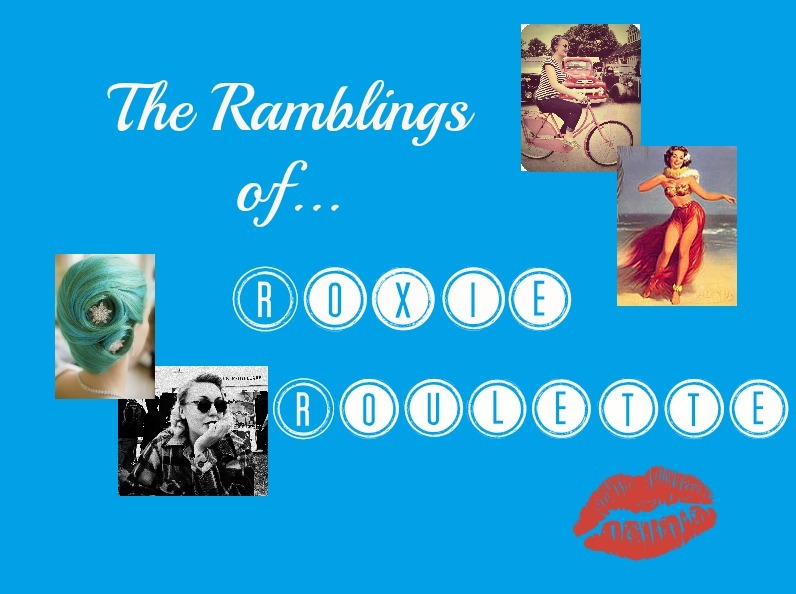 I hope you enjoy that little walk through rockabilly hair and make up! Stay tuned for the fourth and final part: The Music! The Day I Fell In Love With A Town. Roll Up! Roll Up! Get Your Tickets! Ein über deutsch herbstlich Tag. This Is Why I Don't Wear Colour.